Throughout its rich history, Kaytee Products, has been highly regarded for superior quality, reliable service and innovative new products. 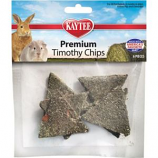 Kaytee takes great pride in its leadership and its mission, "to provide the highest quality foods and services for people's enjoyment of birds and other pets." • A Nutritionally Fortified Gourmet Food. • Prebiotics and Probiotics To Aid In Digestive Health. • Premier Blend Of Fruits, Vegetables, Seeds and Grains Offering Maximum Variety, Fun and Nutrition. • Fortified Gourmet Food For Mice and Rats. • Fiesta Mouse and Rat Is Scientifically Formulated and Thoroughly Tested To Ensure You Are Feeding Your Pet The Very Best. • Probiotic Prebiotics and Probiotics, Natural Ingredients That Aid In Digestive Health. • Crunchy Nuggets Loaded With Wholesome, Delicious Treats Animals Crave and The Essential Nutrients They Need. • Wholesome Ingredients Like Honey, Apple, Papaya and Carrot and Unique Seeds Combine With Essential Nutrients. 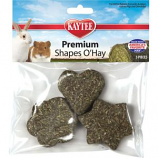 • Sure To Please Any Hamster Or Gerbil and Promote His Good Health. • A Fun-To-Eat Way To Add Nutrition and Activity To Your Pets Diet. • With Dha Omega-3 To Support Heart, Brain and Visual Functions and Prebiotics and Probiotics To Support Digestive Health. Milo, sunflower, white millet, small yellow corn, wheat, safflower, peas, oat groats, toasted corn flakes, oats, hulled sunflower, pumpkin seed, gelatin, sun-cured alfalfa meal, dehulled soybean meal, ground corn, honey, corn sugar, ground oats,. • Crunchy Fortified Nuggets With A Smooth, Delicious, Fruit Flavored Yogurt Coating. • Forti Diet Pro Health Honey Stick For Cockatiels. • Crunchy Fortified Nuggest With A Smooth, Delicious, Fruit Flavored Yogurt Coating. • Delicious, Fortified Fruit Flavored Yogurt Treat Your Pet Will Crave. • Provide These Treats As A Reward Or As An Every Day Snack. • A Fun-To-Eat Way To Add Variety and Activity To Your Pets Diet. • To Ensure A Balanced Diet Add Foods High In Vitamins and Minerals Or Feed A Nutrient Complete Food. • All Natural Blend Of Alfalfa, Parsley, Carrots, Spinach, Peppers and Apples. • Blends Extreme Flavor, Real Fruit and A Creamy Yogurt Coating For A Colorful Explosion Of Taste and Texture. • Interactive, Healthful Way To Give Your Pet Enrichment In A Special Treat. Forti Diet Pro Health Honey Stick For Cockatiels.